Quality purses made with unique Australian Cane Toad leather. 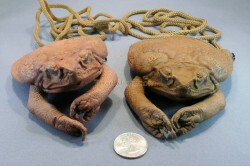 Whether it is a small coin purse or a large shoulder bag, cane toad purses stand out. They are hand-made of practically indestructible cane toad leather with quality hardware for zippers, snaps, and rivets. 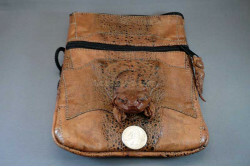 Coin purse made of quality Australian Cane Toad leather with pigskin liner. 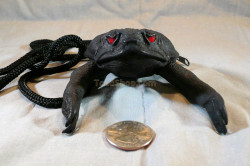 Comes in both leg and le..
A very unique cane toad coin purse dyed black with red eyes with or without a neck cord.This item is..
A beautiful Australian Cane Toad leather purse with enclosed key ring. 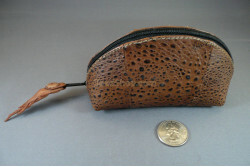 This leather key purse is ..
Small zippered purse made of quality Australian Cane Toad leather with pigskin liner. 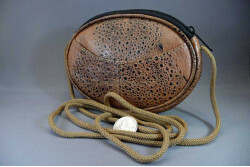 This purse is ..
Beautiful coin purse made of quality Australian Cane Toad leather skin with all four legs. 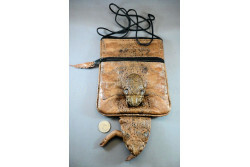 Has a cor..
A unique shoulder purse made of real Australian Cane Toad leather. Comes with legs. 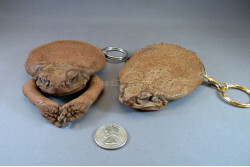 We offer two siz..
A small handbag made of beautiful, durable Australian Cane Toad leather. Elegant and petite. 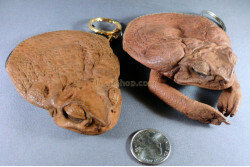 This..
A petite oval shoulder bag made of genuine Australian Cane Toad leather. 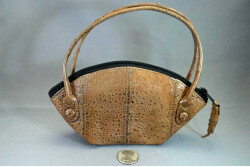 This is a small shoulder..
Australian Cane Toad rectangular shoulder bag with one toad head. 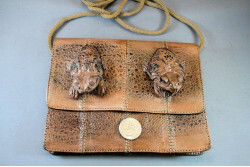 This shoulder bag measures appr..
An Australian Cane Toad Purse with two cane toad heads as embellishments. 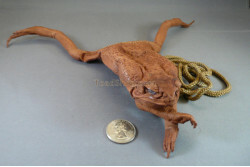 About the same size as ..
Two toad headed, two legged shoulder purse made of beautiful Australian Cane Toad leather.Looks like..